"it means less us more them. stepping out of the way. leading with relationship and letting people, well, be people." 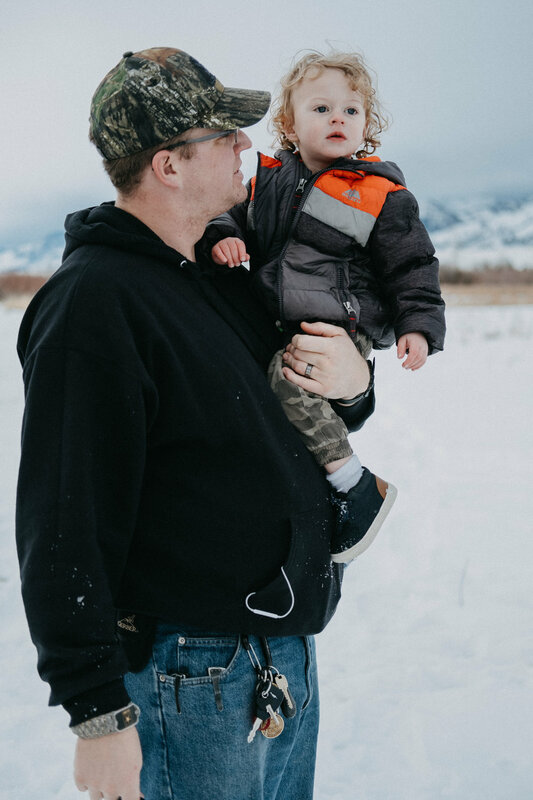 On my off days you can find me wandering around Gallatin Valley with my husband John and my son Theodore. Those two keep me on my toes and are the chaotic fire to my easy going self. Recently life has been a modge podge of my journey to loving myself, normalizing postpartum depression and fighting to empower women + families with Birth photography. My Granny Marge used to tell me that it was “only natural you feel life as deeply as you do, you’re a Cancer after all”. And I fit the description to the T. Emotional, drawn to thought provoking music/art/words/experiences. A bit of a homebody with a pull to exploring. People ask me how I became a Birth photographer and it’s all about empowering + preservation for me. Since I was little I’ve been a bit obsessed with archiving my experience in this world - I’ve probably got 60 journals that have been filled to the brim with my life. Photography became a natural extension of that longing to record it all. We’re all human, but our stories, our purpose and our legacies are so incredibly diverse. Every single one is full of magic and deserves to be remembered in all of it’s glory. As a Birth Photographer I like to think of myself as a little bit more hands on, without ever going outside of my lane of work (like, I’ll never, ever give you medical advice or contradict your choices). I’m a part of your Birth Team and that’s a job I take very seriously. I will wholeheartedly support your decisions in labor + delivery with the utmost respect. I welcome ALL people here with open arms. And there we are - I can’t wait to hear from you! John: incredibly handsome husband, awesome coffee maker, exceptional coaching/cheerleading skills, always has my back. Theodore: rad toddler son, sleep deprivation survival trainer, animal cracker expert. These two make sure everything works behind the scenes so that I can dedicate my working hours to my clients. John’s been known to take Theo with him to college classes (where he is actually beloved by student and professor alike because he’s that cool) and is in charge of making sure there’s childcare arranged if needed.